South East Alaska is a land of rugged beauty and intrigue. It is also a paradise for those who seek outdoor adventures ranging from hunting and fishing to sightseeing, exploring and simply getting away from the stresses of everyday life. Isn't it time to experience your own Ketchikan Outdoor Adventure? Captain Scott is a Midwestern Farm Boy with an Ag Science Degree, an MBA, a love of the Outdoors and a thirst for adventure. His fascination with Alaska started over 10 years ago when he made what was to be a "once in a lifetime trip" to the Last Frontier. 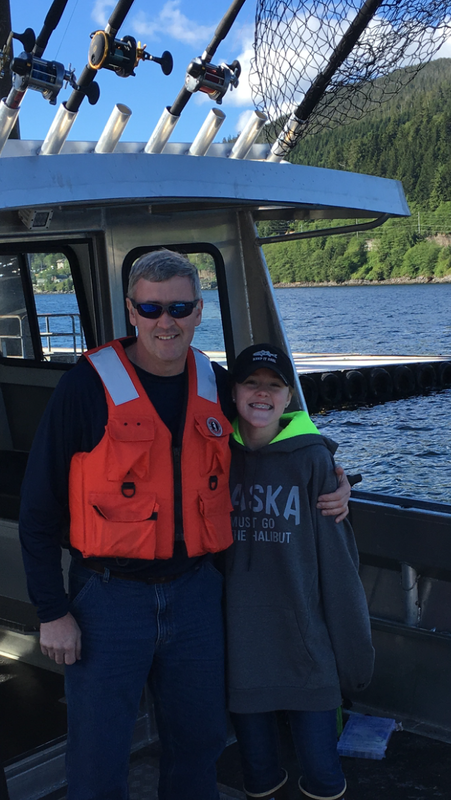 Alaska is now a major part of his life as he spends as much time there as possible while offering Charter and rental boat services to those seeking the very best experience and gear available. When time allows, you might even meet his oldest child ("Captain Claire") as she lends a hand between school events, Cross Country and Track meets.